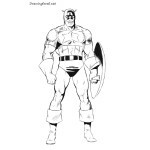 On our site there is a huge number of drawing lessons about comic book characters. In fact, we have a whole category called “Comics”. 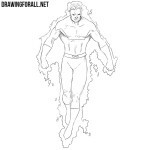 Today we want to replenish this category with a very unusual character, which you could find on the pages of the comics about the X-Men. As you can see, this is essentially a small dragon. 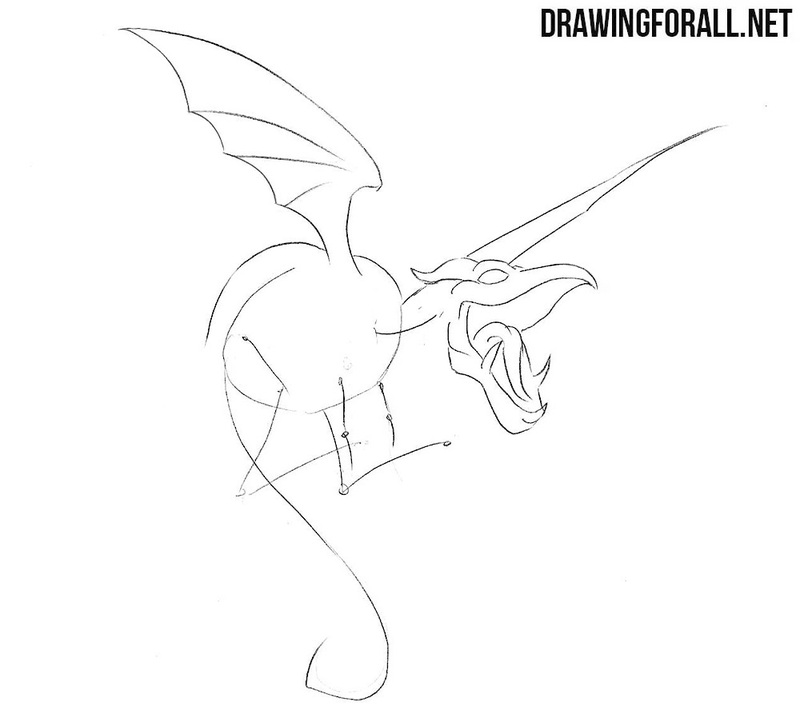 We start drawing our small dragon with the skeleton. 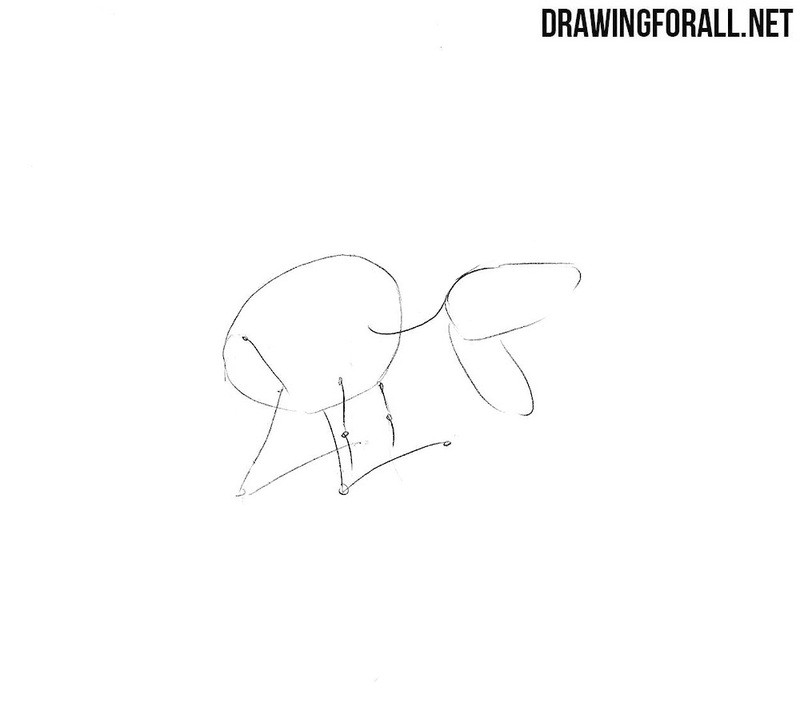 We sketch out the head and torso with simple ovals. Using light lines sketch out the arms and legs. 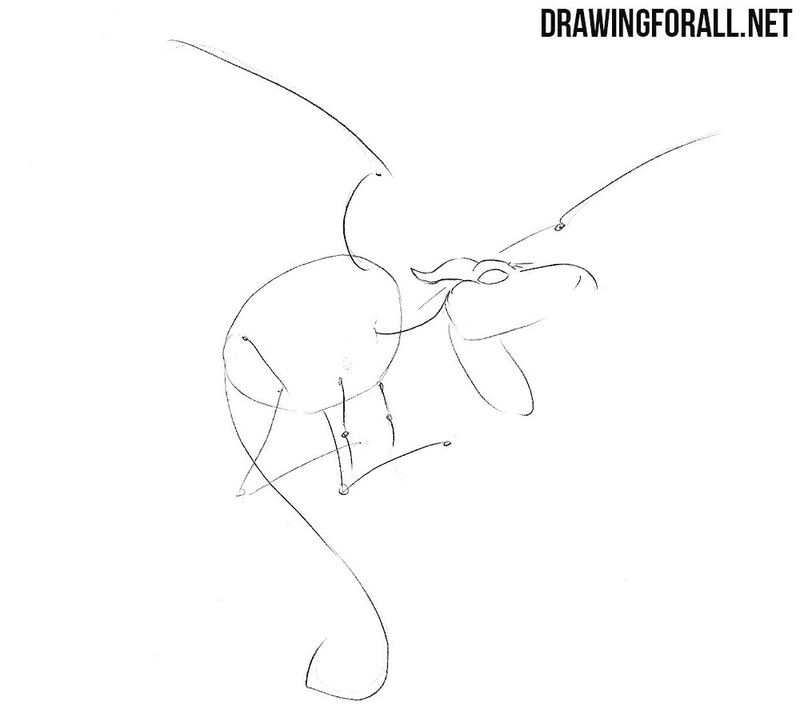 An extremely simple step of the lesson about how to draw Lockheed from Marvel – here we sketch out the wings and long tail. Now let’s move on to the details. Carefully draw the eye and ear in the upper part. We continue drawing the head of Lockheed. 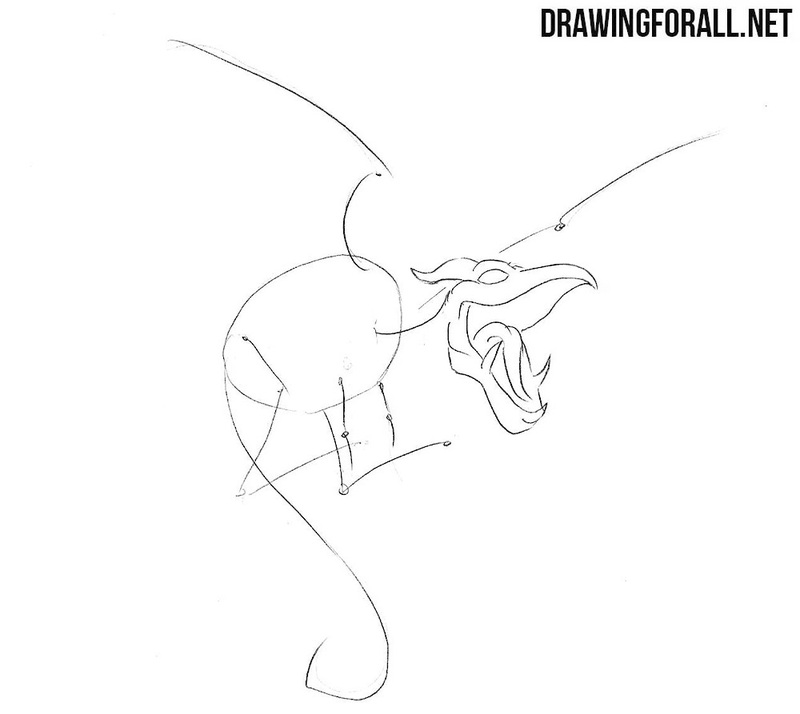 Here we draw out the large mouth with long tongue and sharp fangs. 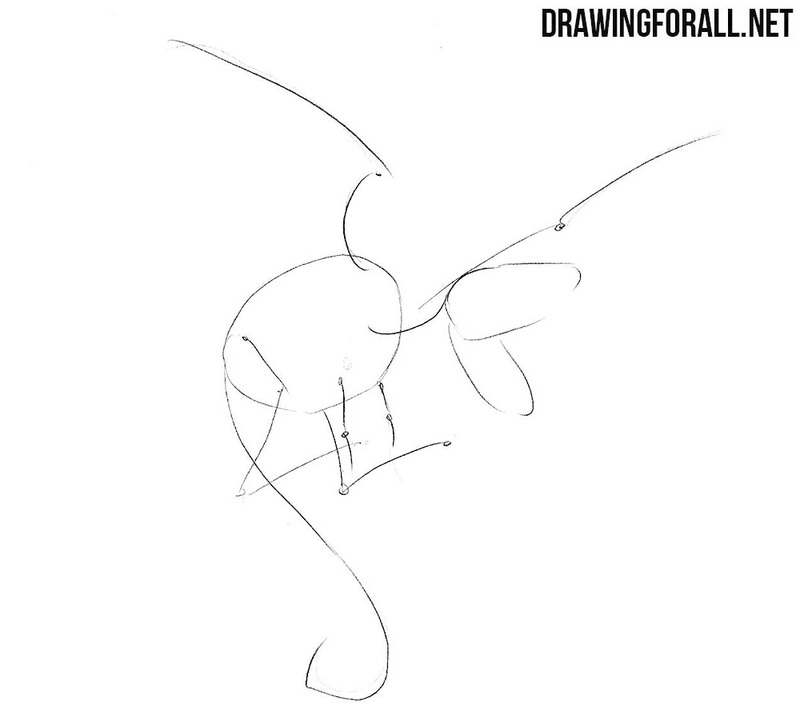 Now draw the wings, which are very similar to the wings of a bat or pterodactyl. Now draw a fairly massive leg of our Lockheed with sharp claws. 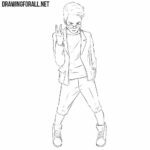 Now draw a second leg and upper limbs, which are much smaller than the rear. In the same step draw a long tail. So, it was a lesson about how to draw Lockheed from Marvel Comics. 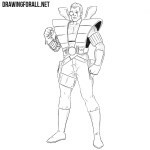 You can leave the drawing as in our lesson or add shadows like in other lessons about comic book characters. 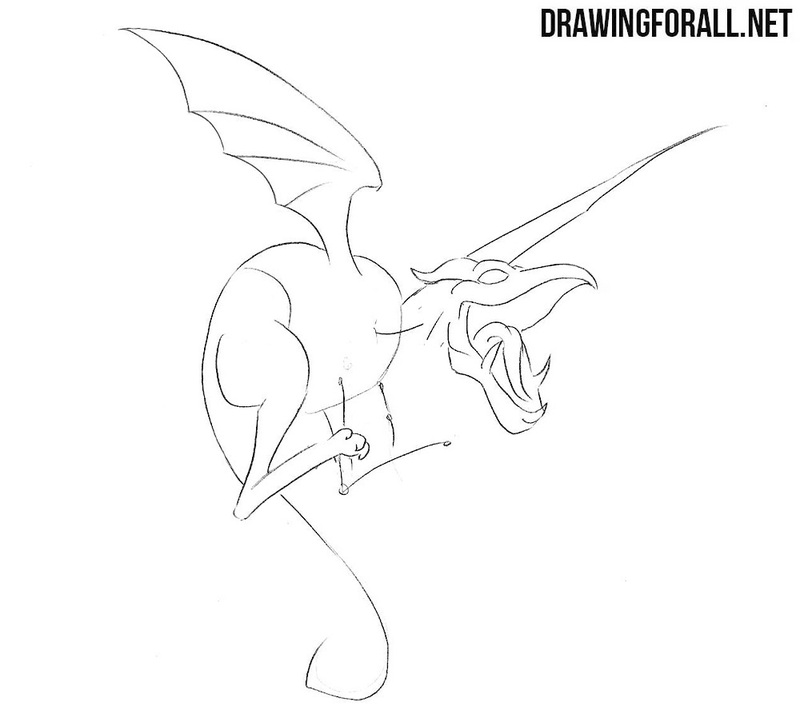 By the way, using this lesson you will be able to draw a dragon, as we have already said, Lockheed is essentially a small dragon.